A simple breakfast. A simple melody. When Chai Met Toast takes inspiration from the lighter side of life to create music that is heart-warming, happy and smile worthy. The newest band from the land of coconuts, they gained fans quickly with a special acoustic setup and a unique brand of infectious, happy music, which transcends age, genre and even language. BELIEVE (EP): The EP captures a journey of discovery (Khoj), finding yourself (Who are you), believing in who you are (Believe) and ends with a celebration of this feeling (Forever). Musically, elements of synth merge seamlessly with orchestral violin and brass sections, which complement the banjo, acoustic guitar, keys, and rhythm section. Adding to this is signature WCMT lyrical style, infusing Hindi and Tamil in between English, adding an element of surprise and making it uniquely Indian. The official video for the title track 'Believe' is to be released on YouTube on the 7th. Conceptualized and directed by Mumbai based director Pranav Bhasin, the video takes you through the story of 'Amara,' an aspiring & determined ballet dancer. All the songs will be available on all major streaming platforms and for free download on the 7th of September. 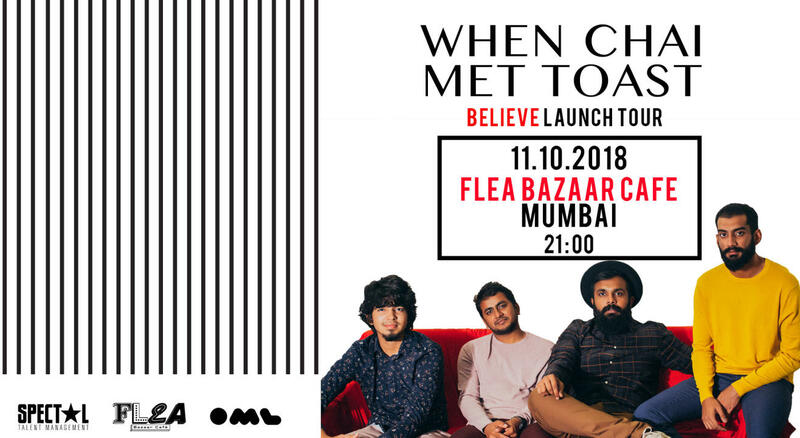 The band will be showcasing the EP through a set of live shows and plans to hit the road by September third week, makings stops at major festivals like the Bacardi NH7 weekender and other major performance venues.